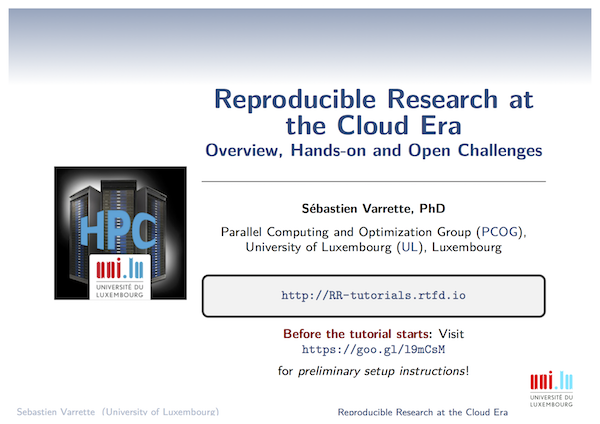 Tutorial "Reproducible Research at the Cloud Era"
This website hosts documents, material and information related to the tutorial "Reproducible Research at the Cloud Era" given during the IEEE CloudCom 2016 conference. The hands-on are listed on this page. Note: This documentation is built using mkdocs.org.